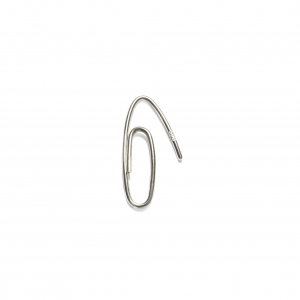 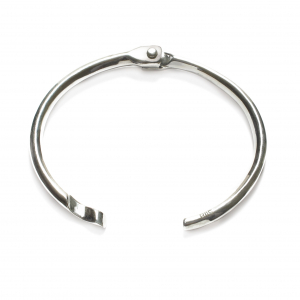 Rigid bangle that fits nicely since silver is a soft metal. 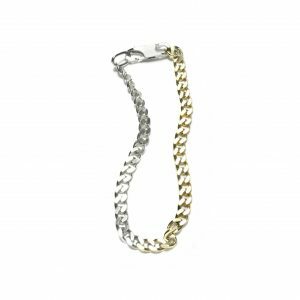 With this bracelet you won´t have to choose between silver or gold. 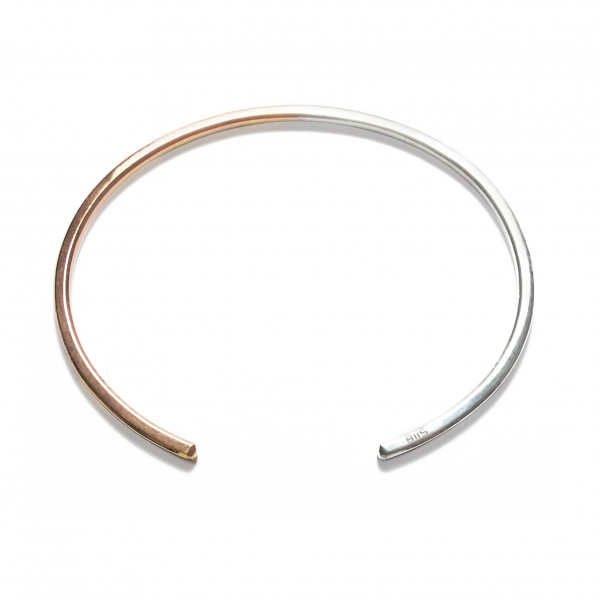 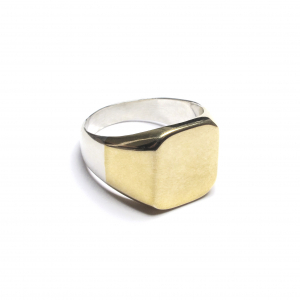 Material and color: Sterling silver and half 18k rose gold plated sterling silver.